Firstly I think it’s been clear for our previous posts and updates that we have thoroughly enjoyed our time in Thailand. 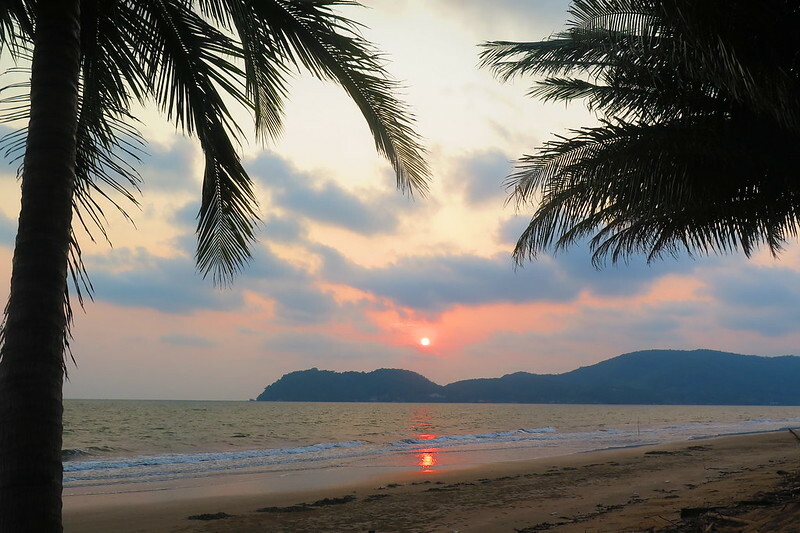 It’s the second time we have visited this beautiful country, last time we headed south from Bangkok and visited Koh Tao. The short time we had on that trip we loved. So I wasn’t sure if it would live up to our previous impression, but I had nothing to worry about. 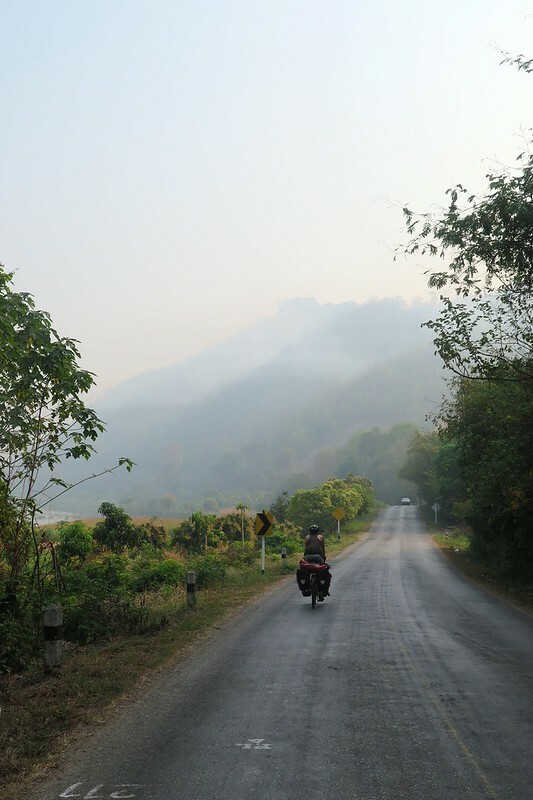 From Loei, we had a little under 250km to get to the Laos border and 6 days left on our visas. 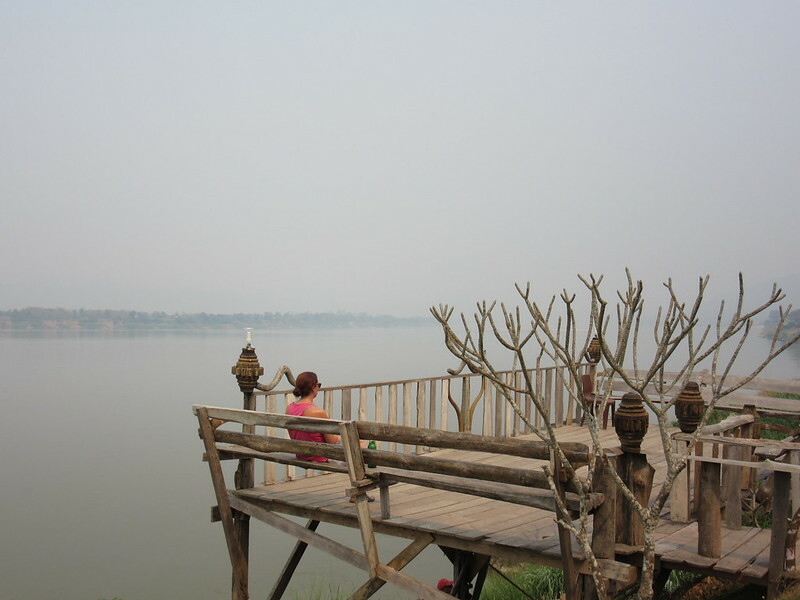 We hoped for some chilled days and beautiful scenery following the Mekong downstream to Nong Khai. We weren’t disappointed. 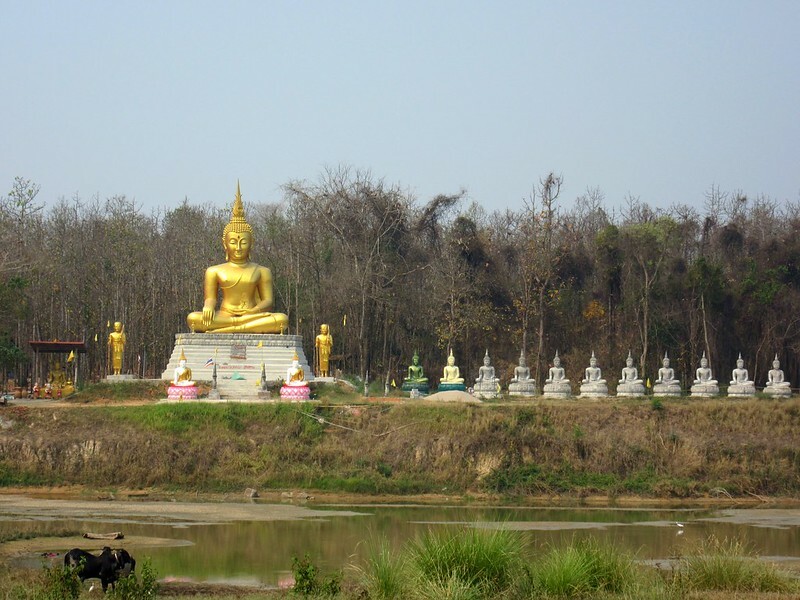 This area in north eastern Thailand is known as Isaan which, for now, isn’t really on the radar for western visitors. It doesn’t have the beaches or resorts and isn’t as easy to get to as the main tourist hubs, but it’s a real hidden gem. 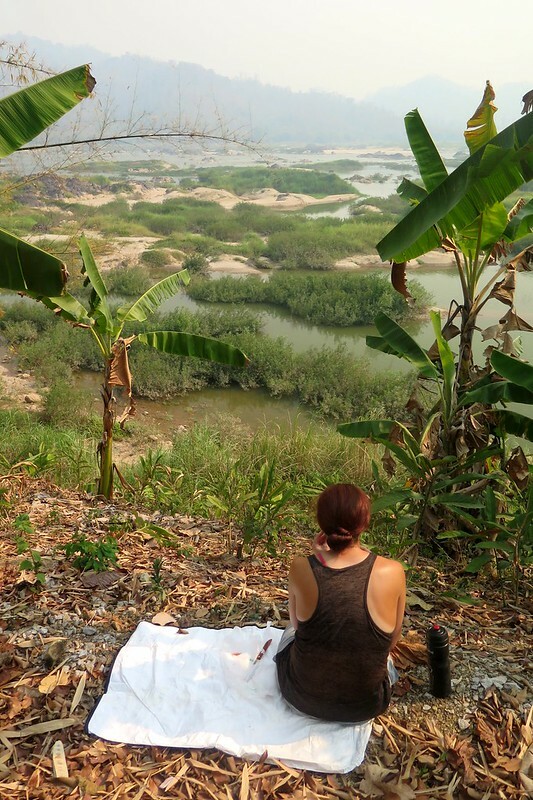 Once we left Loei, we kept heading north on the main road until we met the river at Chiang Khan. The ride was pretty easy, through some rolling terrain with mellow dips and climbs. As with everywhere else in Thailand, we saw countless temples beside the road. On this stretch, we also seemed to pass quite a few military bases, where the guards saluted us as we rode past! Yet more friendliness from the Thai people. The Thai canines weren’t as keen on us though – we were chased by quite a few dogs. We’ve equipped ourselves with bamboo ‘dog sticks’ which we keep handily strapped to our rear panniers for quick-draw access. So far, they’ve been all bark though, chasing and yapping at us for a hundred metres or so before getting bored. Chiang Khan is actually quite touristy, but mostly with Thai visitors. It’s a beautiful place with a riverside promenade lined with guest houses and restaurants along the riverbank. We stayed here for a couple of nights, not quite able to afford a riverfront room, but in a nice little place on the main drag. 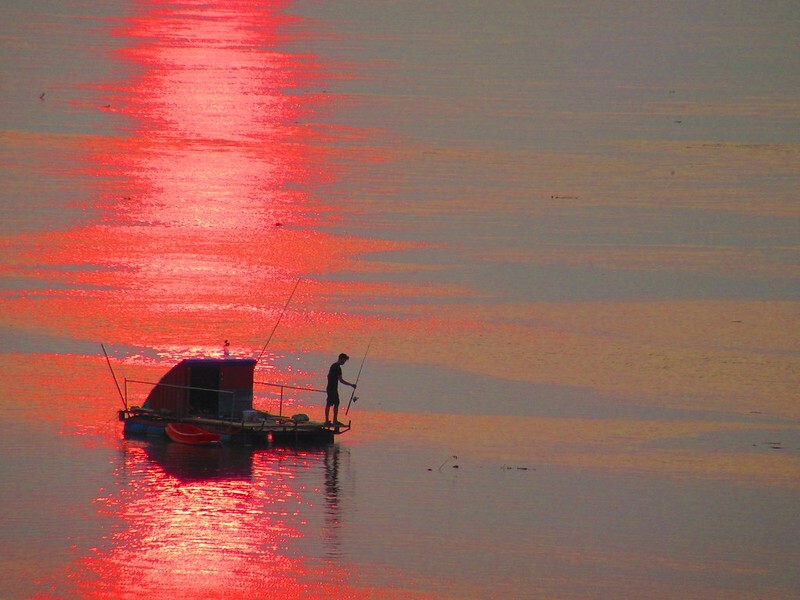 The location of the town, on the south-eastern bank of the river, gives it a killer sunset. This area has been very hazy, which does restrict visibility in the middle of the day, but makes the skies come alive for sunrise and sunset. On our rest day, we headed along the river just out of town. As we’re in the dry season, the water is quite low, exposing a beach area. 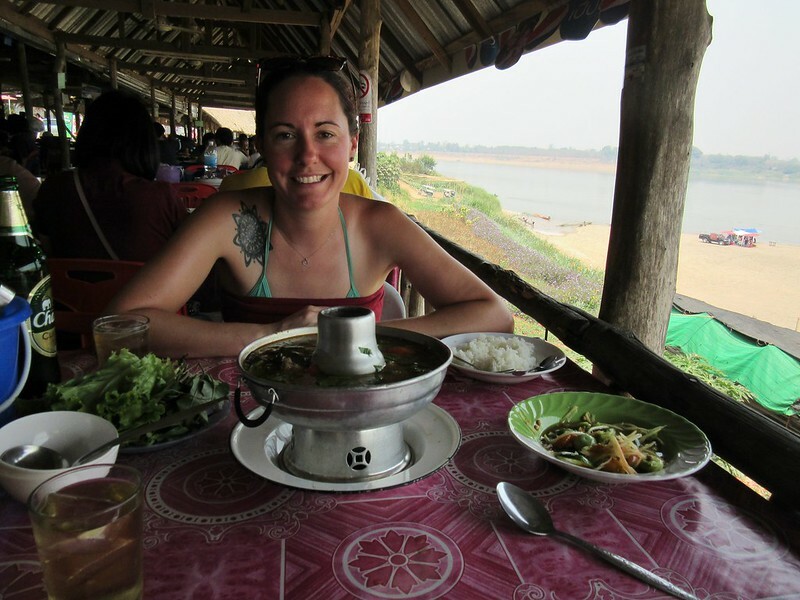 We went for a swim, skimmed some stones and ate with the locals in a little riverside restaurant. The regional favourite is tom yung soup with fish from the river, as always, washed down with a few Chang Beers. 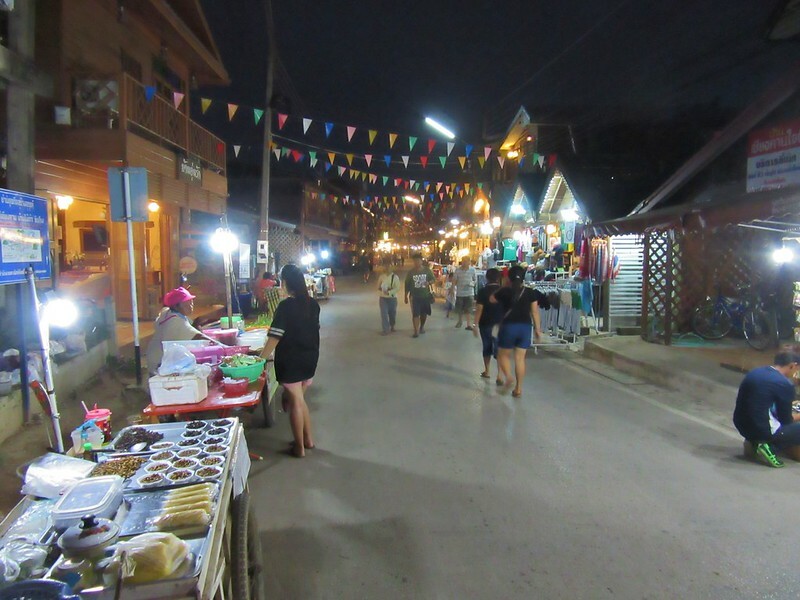 In the evening, we wandered along the main road through town which was lit up and full of market stalls and buskers. Heading east from Chiang Khan, we had a few days of 50km or so each. The road followed the river, with a few diversions inland, up and over ridges, but mostly quite flat. Our first day took us to Pak Chom, which we reached by about 9:30am. We had a quick 7-11 break and then went on the hunt for somewhere to stay. It wasn’t a particularly big town, just a few restaurants and a busy market where we bought a watermelon. Then we chanced upon a little row of bungalows right next to the river. We were in one of them and relaxing on the balcony by 10:00am, a new record! The rest of the day we just relaxed, heading out into the town for lunch and dinner, but mostly sitting on the balcony, reading and listening to music. 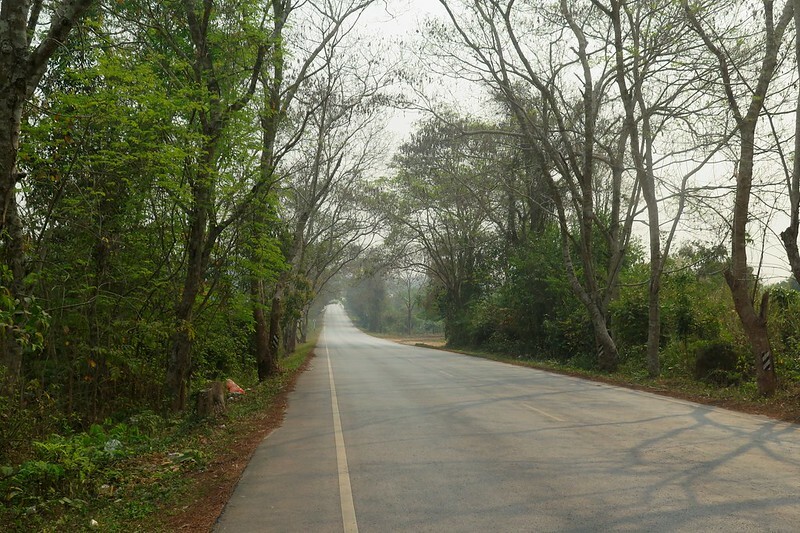 The next day we rode to Sangkhom, another short ride along the river on empty roads next to small farms, mostly tobacco plantations we believe. Very little of note happened during the cycling, other than a mid morning stop beside the road to finish off our watermelon. 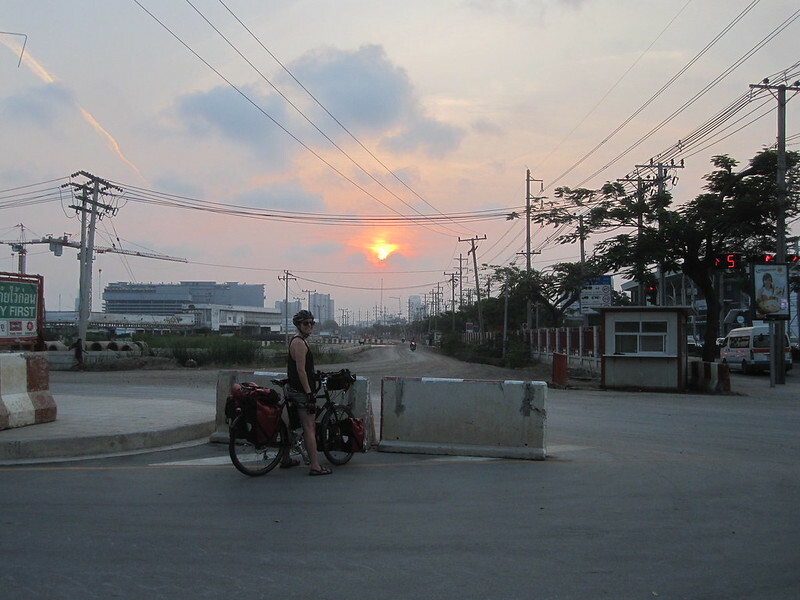 In Sangkhom, we didn’t see a much in terms of accommodation when we rode down the main road through town. We had thoughts of pushing on to the next town, or even possibly camping, until we got just a little further down the road and saw an incredible looking riverside resort. Almost certainly out of our price range, we thought, but worth checking. 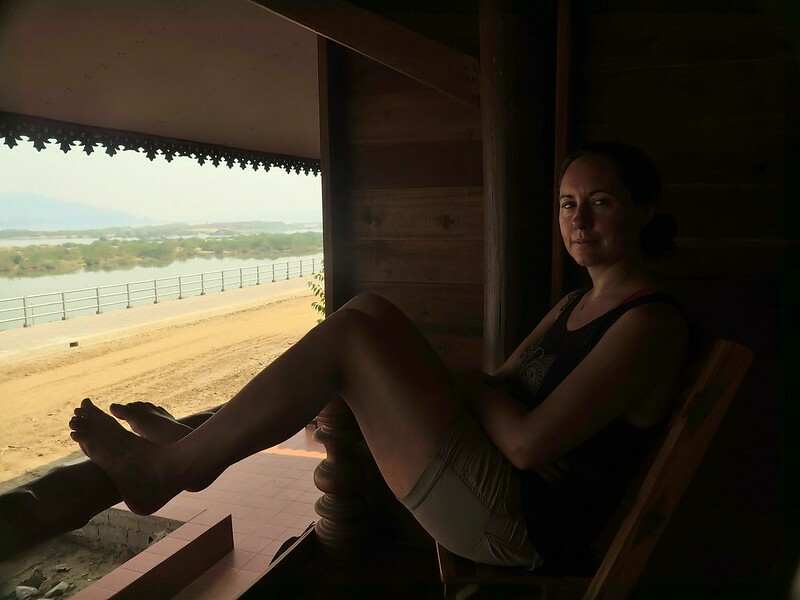 For a corner room right on the river, we paid 600 baht, or 12 quid. Including brekkie. Again, we were in the room by late morning, and spent the afternoon on the terrace in the sunshine. Cycling does seem to be popular in this area. We’ve passed many signs promoting it, and a lot of the tshirts on sale in the markets have a bicycle motif. 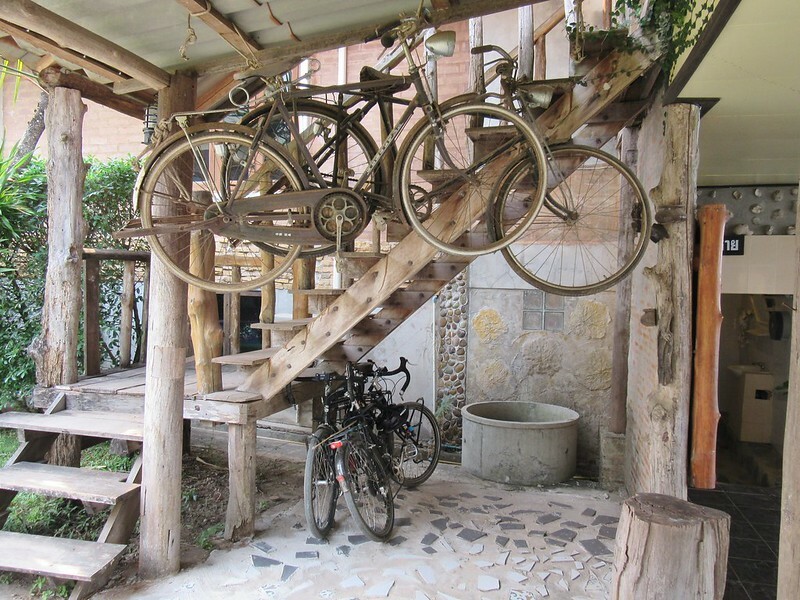 In this hotel, there were vintage bikes hanging from the ceiling. 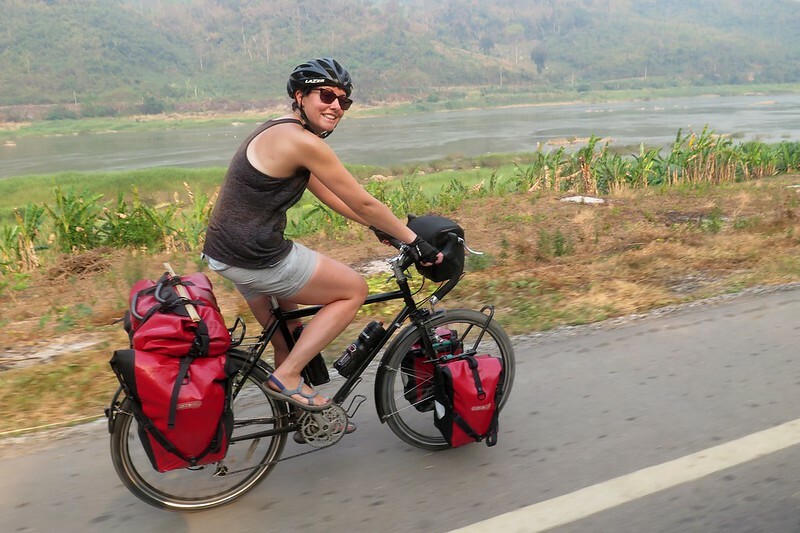 Another untapped cycle touring destination! 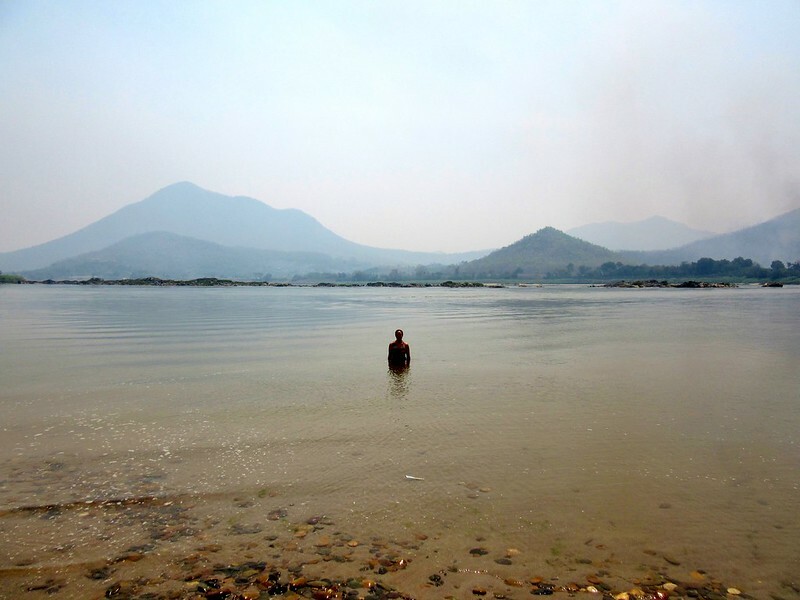 Our last stop before reaching Nong Khai was Tha Bo, another 50km or so downstream. We had a later start, enjoying breakfast and a relaxed morning before getting on the road again. The road continued to follow the river, but today went a fair way inland and up quite a steep climb. Our legs are well rested after these shorter days, so a little while in a low gear pushing uphill wasn’t too much of a struggle. 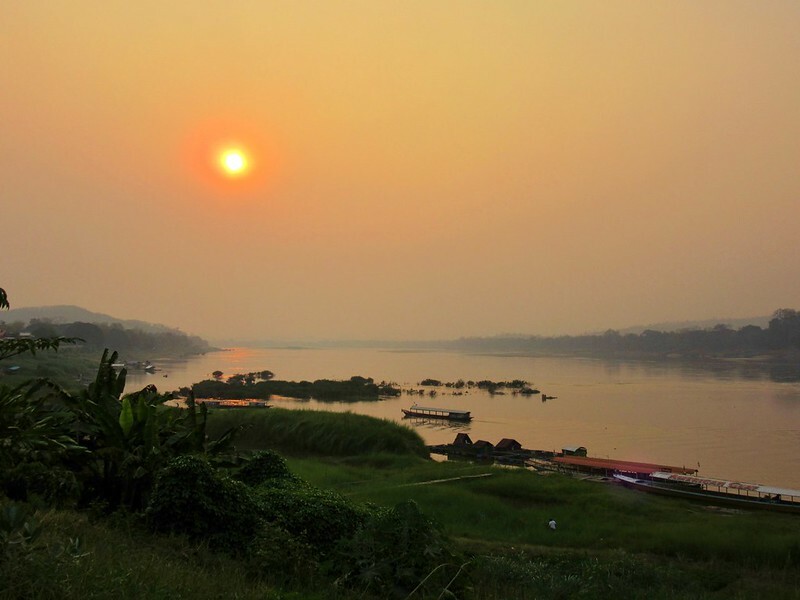 When we rejoined the river, we could see Vientiane just a stones throw away on the opposite bank, we’ll be there in a few days time. 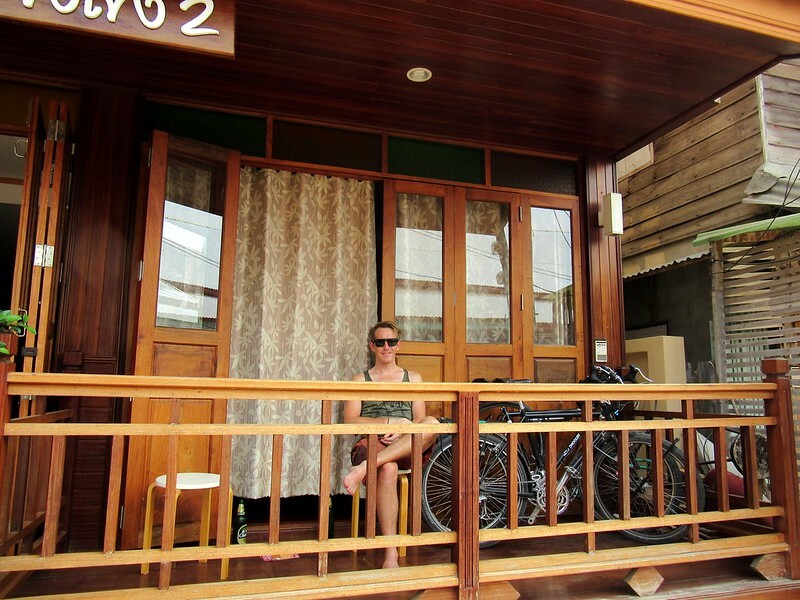 In Tha Bo, just 20km short of Nong Khai, we found another great place to stay. This time a brand new hotel with a pool, and a room overlooking the river. 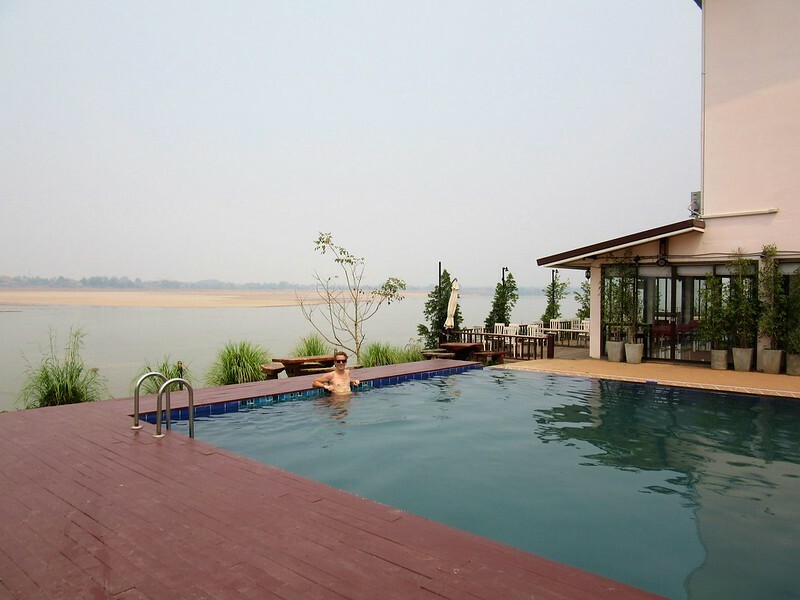 Nong Khai, the border town, was just an hours ride away, so we took our time leaving, enjoying another swim in the morning after breakfast. 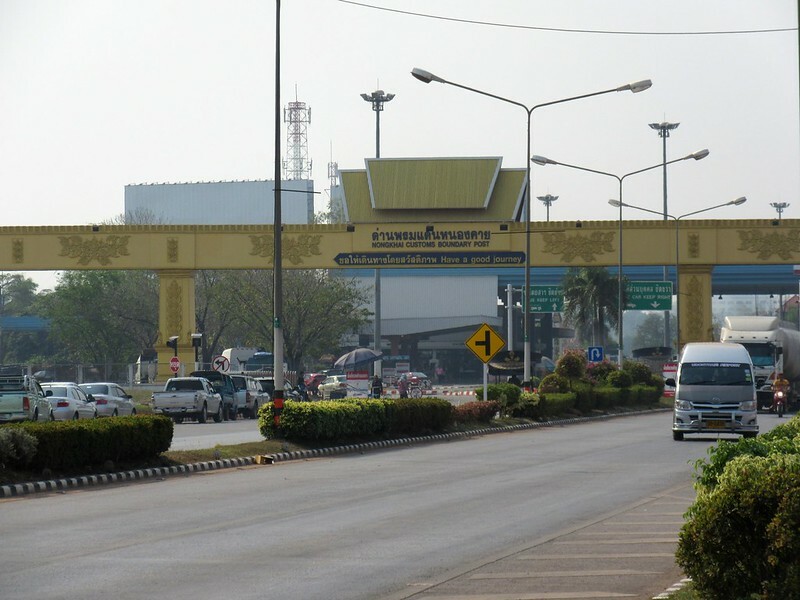 We’d booked a guest house close to the Thai-Laos Friendship Bridge, the official border crossing. We had ordered some new tyres from Wiggle and they’d agreed to accept the delivery and hold onto for us until we arrived. Unfortunately, there was import tax to pay, so our package was being held in the Customs House at the border crossing. Except it actually was in the central Post Office, which we discovered when we got to the Customs House and waited for them to finish their lunch break. Eventually after running around town a bit, we got our package, and also picked up some insect repellant and toothpaste from Boots. 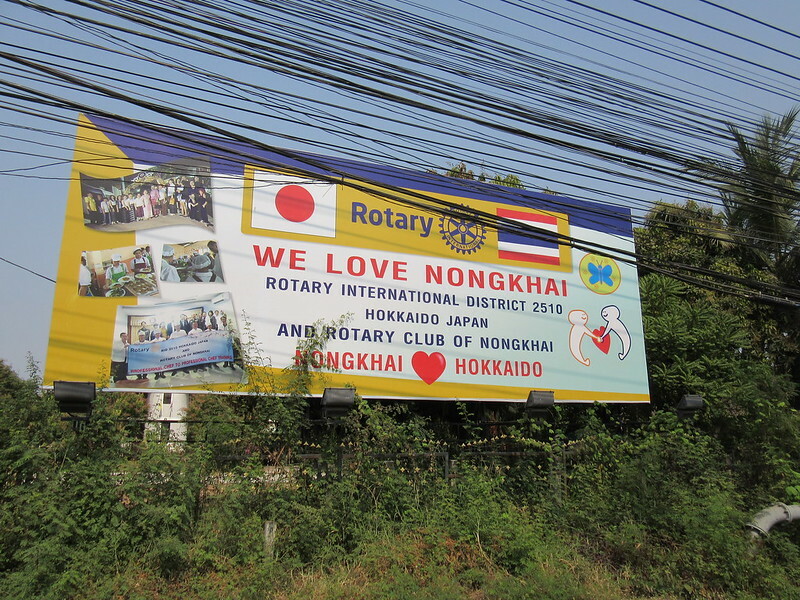 Randomly we saw a sign showing a partnership between Nong Khai and Hokkaido which made us smile! We returned to the guest house for a delicious final Thai dinner (and a couple of Changs), ready to cross the border the following day. It should be a straightforward crossing, with a visa on arrival available. Then after crossing the bridge, we’ll be into Laos, our 8th country, with just a short ride to our first stop, Vientiane. 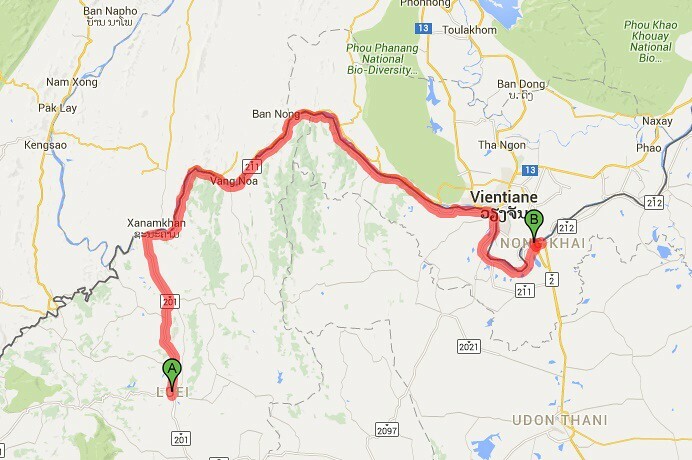 Here’s our route from Loei to Nong Khai. We were keen to get away early from Bangkok to hopefully avoid the worst of the traffic, so the alarm was at 5:30 and we were rolling by 6:15 just as the sun was coming up. It was a good move, we got away from the central area quite easily and it was only as we were into the outskirts that the traffic started to build up. As it was the morning rush hour, most of it was going the other way to us, so it was quite a painless ride out of the city. Until we got to the road running north past the old Don Muang Airport where we got caught up in roadworks, narrowing our road to a single lane which gave us a tough few kilometres, just as we thought we’d got away! 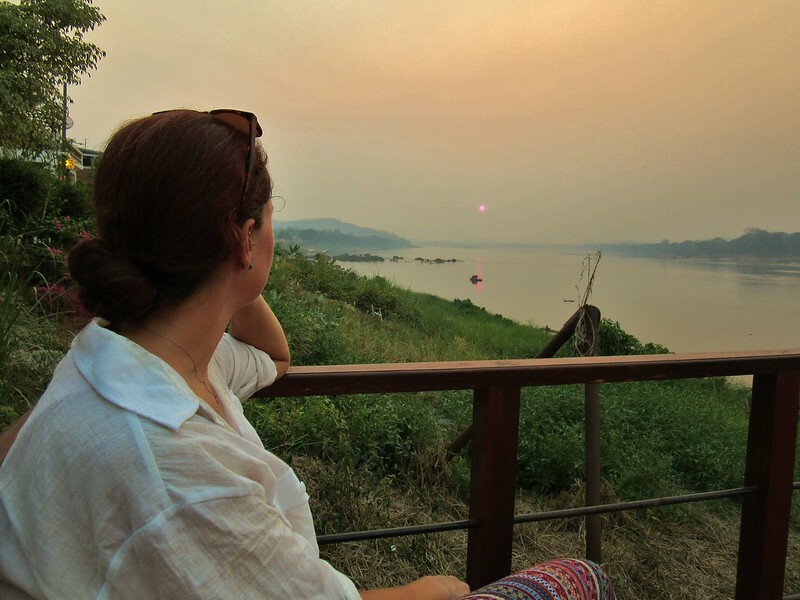 Days 142 – 150 Chiang Mai, by train. We had a hectic day rushing around Bangkok before we headed up to Chiang Mai on the train. We cycled up to Bok Bok Bike, a known and respected bike shop among touring cyclists (http://www.bokbokbike-thailand.com/). 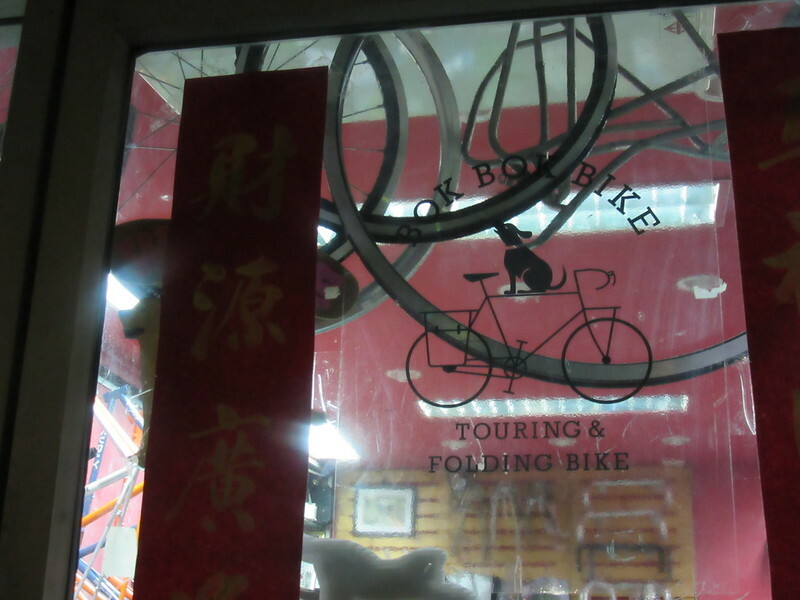 It seems like most tourers get their bikes serviced when they come through Bangkok and Bok Bok is a name that crops up a lot on blogs and journals. Sure enough, when we arrived at the shop and were waiting for them to open at 2:30pm (their opening hours are somewhat random!) we met two other cyclists from Holland, Geart and Sytske. 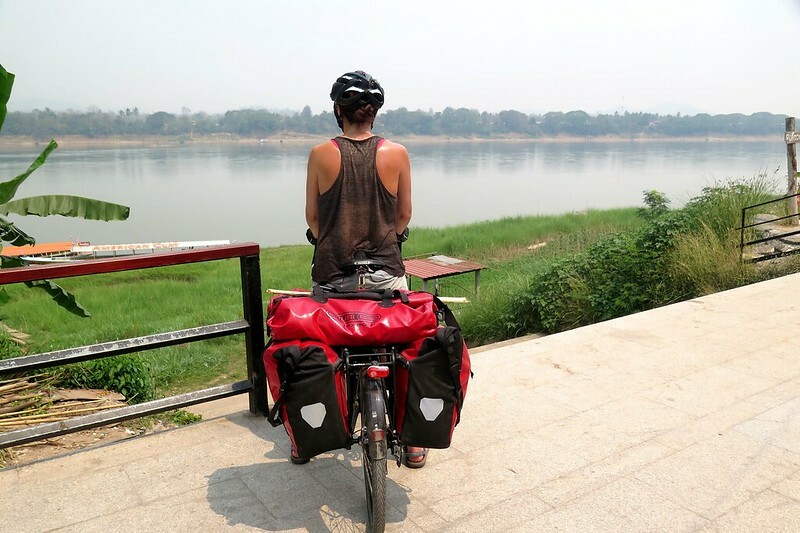 They’d cycled through Asia a couple of years ago, then stopped in Australia for a year to work, and are now returning to Europe, via Myanmar, China and Central Asia. We may well run into them again in China or the ‘stans. We enjoyed our couple of rest days in Battambang. We did some sightseeing, but also spent a lot of time relaxing, eating, and figuring out a plan for our first week in Thailand. 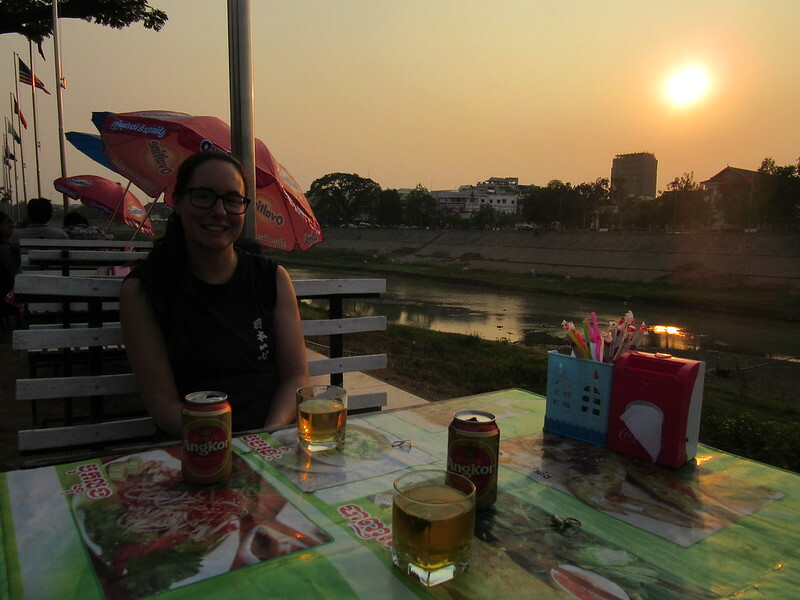 We had a really great last night there, having a couple of sundowner beers next to the river then dinner, before an early night, as we wanted to hit the road in good time before the sun got too hot.